Come tour this stunning home at the OPEN HOUSE on Saturday, February 2, from 12pm-2pm! Luxurious estate living with all of the upgrades you could ask for! Three finished level brick front colonial with beautiful curb appeal! Soaring two-story foyer with a gorgeous light fixture! The stunning professional office boasts a wood beam ceiling! Formal living and dining rooms with great natural light open to a private sunroom! The gourmet kitchen offers two-tone cabinetry, a backsplash, upgraded appliances, updated lighting, and an island with a breakfast bar! Eat-in kitchen and breakfast room bump out! Two-story family room with walls of windows, speakers, fireplace! Perfect for entertaining! Two staircases! Sophisticated master with a gorgeous ceiling, private fireplace & sitting room! Luxurious bath, great walk-in closet! Three more great size bedrooms upstairs as well as upstairs laundry! Mostly finished basement with a huge rec room, custom-made bar, media room, bedroom, and a full bath! Serene exterior with lovely yard, deck, and hot tub! Three car garage that is drywalled and has a painted floor. Not a detail has been missed! Great location close to I-95, shopping, commuting! 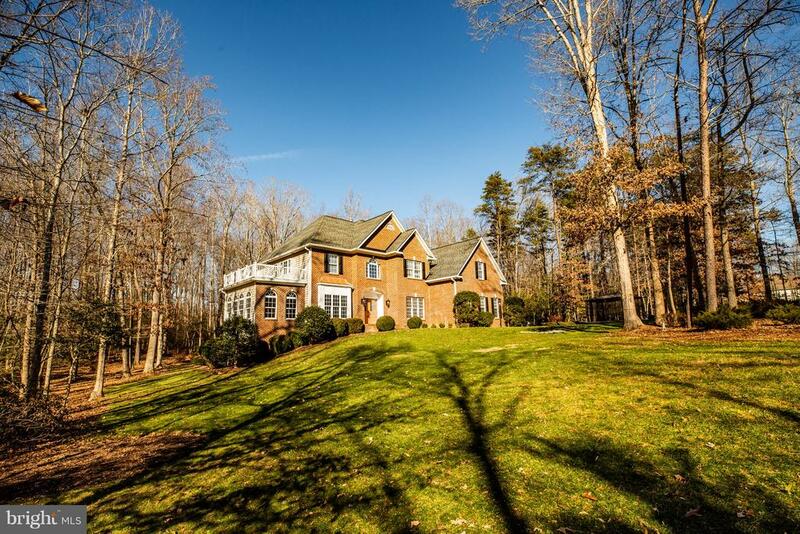 For more information or to schedule a private showing contact Amy Cherry Taylor at 703-577-0135!